Ankur is VP, Information Security (CISO) in Fareportal. He is responsible for evolving information security posture by implementing strong security controls around people, process and technology to uplift overall security maturity within Fareportal. Prior to Fareportal, he spent almost a decade working for PricewaterhouseCoopers (PwC) in information security consulting and helped PwC's clients in cyber risk, information security, online security, insider threat management, vulnerability management, application security and data privacy & protection space. Ankur has worked across the Indian subcontinent, UK, US, UAE, Singapore, Africa and Europe and has served more than 70 clients across Travel, Airline, FinTech, Telecom, e-Commerce and IT/ITeS industries. He graduated with an MBA in IT from Symbiosis International University in Pune. He is an active contributor to the security community and has published multiple white papers and has held speaker positions in numerous security seminars. Anuj has focused his Fraud, Sales, Collections, Credit and Risk experience in the retail credit card and banking industries of which he is a 20 year veteran. He has held various management positions in Canada as well as internationally with the HSBC Group. Anuj has an M.B.A. from Fore School of Management with a major in Finance. He obtained his Honors in Bachelor of Commerce degree from SRCC, University of Delhi, India. In his most current role Anuj Was the Vice President of Fraud and Receivables Operation within the Client Account Management Group in CIBC. He was accountable for development of long-term strategic performance objectives and executing on operational, customer, shareholder and people management strategies for Fraud and Collections for all of Canada. His role entailed managing the operating performance of three geographically located centres with over 1,000+ employees supporting all Retail Products and Small Business Banking products within CIBC. His mandate was to deepen client relationships by meeting more of our clients’ financial needs through the delivery of strong advisory solutions and a consistent client service experience for customers facing financial difficulties. The ultimate objective being to Accelerate Profitable Growth for the organization while at the same time Enhancing Client Experience. Anuj was a member of the Consumer Credit Specialist Committee within the Canadian Bankers Association. He was also a member of the Canadian Association of Insolvency and Restructuring Professionals representing the banks on the Credit Industry Liaison committee. Being born in Kansas and raised throughout the US from Michigan to Florida - Philadelphia to Los Angeles, it’s no wonder he is passionate about travel. Bob’s been in the “Business” near 40 years and has a very unique understanding of both sides of the equation, having worked for Marriott to a variety of travel agencies as well as working the corporate side of travel. Having a background ranging from GDS training to rate desk pricing, he understands how what looks simple can be overwhelming, but know what questions to ask and how to get resolutions that are agreeable to all parties involved. Carolina joined Fareportal in 2006 with over 16 years of experience in the travel industry. She has worked on both the travel agency side and the airline side of the business. Currently, Carolina is responsible for managing a portfolio of airlines and other suppliers with an emphasis on the Latin American and Caribbean markets. She also works alongside other members of the Supplier Relations team on Fareportal’s international expansion and on increasing profitability for the company. Carolina is a seasoned business executive with strong entrepreneurial skills. She is adept in developing strategic plans that pull all resources together to achieve mutual success across the team’s portfolios of suppliers. She has a passion for success that is achieved with excellent leadership, communication and negotiation skills. Carolina holds a Bachelor’s degree in Tourism and Travel Management. Chema has spent the last two decades working for international airline organizations, most recently as Director Sales and Marketing for oneworld, the global airline alliance. In this role, Chema led the alliance’s worldwide joint commercial initiatives, from global corporate agreements to multilateral alliance fares and MICE solutions as well as global branding, loyalty and marketing. Prior to joining the alliance’s central team, Chema spent 12 years with Iberia Airlines of Spain, his last role as Vice President Commercial, USA and Canada, where he led the organization in all areas of the business, from sales and marketing to overseeing operations, administration, cargo and maintenance units. Chema is a US citizen, fluent in English and Spanish and holds an MBA from Thunderbird School of Global Management, Glendale, Arizona, and a BS in International Business Administration from the American University, Washington DC. Glen is a seasoned IT professional who brings 30 years of international experience in global roles across various business segments such as financial services, media, entertainment, consumer goods and travel/hotel. About 20 of those years he was based out of Europe, and the last 10 years, he has been based out the New York area. Glen brings to the table experience across a wide variety of infrastructure technologies. Most relevant work experience worth mentioning, Glen spent about four years at The Priceline Group standing up and running their global shared IT services department across all their brands. At Fareportal, Glen joins us as a Vice President IT Operations. Glen's role is responsible for Technical Leadership of Global IT operations and communications. He will be tasked with developing roadmaps, goals and deliverables, policies and procedures for global IT groups. Manage the technology unit consisting of multiple technology teams comprised of Corporate IT, Support and Contact center operations. Kathi Moore joined Fareportal in 2016. She is a seasoned marketing and advertising professional with over 30 years of experience. In her career, she has orchestrated the growth and development of a diverse array of CPG and service brands. Kathi possesses expertise in all aspects of consumer marketing and advertising, with a unique focus on international and US multi-cultural. Previous work includes Head of Marketing for Sydney, Australia-based HiLife Health & Beauty, and senior management roles at leading national advertising agencies whose clients have included some of the best known brands in the US marketplace. A passionate advocate of omni-channel, customer-focused marketing, Kathi leads Fareportal’s strategy in the areas of Branding, Offline Marketing, and Marketing Communications/Public Relations. Li's 20-year legal career at national law firms and in-house provides her with a wealth of experience in key areas of legal representation, including drafting and negotiating technology contracts, mergers and acquisitions, protecting intellectual property, corporate governance, and development of compliance policies. Li comes to us mostly recently from Amplify Education, a K-12 technology company, where she served for 9 years as its deputy general counsel. 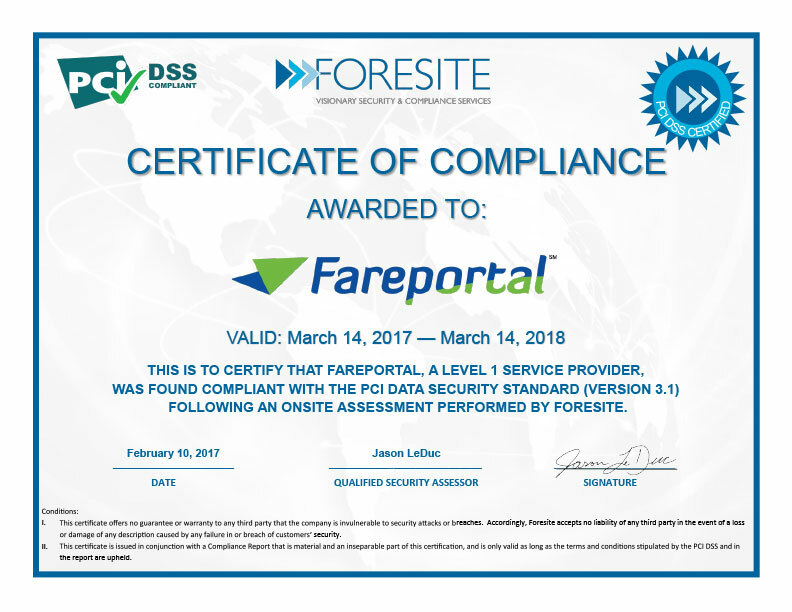 As Vice President & Deputy General Counsel, Li advises Fareportal and its lines of business on commercial and strategic transactions, IP portfolio protection, litigation and disputes, and other critical legal and compliance initiatives. Among other responsibilities, Li supervises outside counsel for the company's international operations. Li holds a JD from Fordham University School of Law and a BA from the College of the Holy Cross. Michael drives Email Marketing, Content and Social Media strategy and innovation for Fareportal’s industry-leading portfolio of travel brands. Prior to joining us in 2011, Michael was a member of the founding team at priceline.com and held various senior marketing positions of increasing responsibility at Starwood Hotels, College Sports Television (CSTV) and Pitney Bowes. Michael holds a BA in Communications from Boston College and is thrilled to be back in the travel space with Fareportal. Michael joined Fareportal in 2017 as the Vice President of Mobile Strategy. He is a global mobile thought leader and his prior experience includes founding his own successful company also leading the mobile departments at two of the UK’s largest banks. Prior to joining Fareportal, Michael was the co-founder and CEO of Parkhound – the Airbnb of parking. Founded in Australia, the company grew rapidly by disrupting the traditional car parking industry through an innovative mobile focused peer-to-peer business model. The company won numerous awards, rejected three investment offers on Shark Tank, and was subsequently acquired in 2017. Prior to setting up his own business, Michael lived in London for five years and was Head of Mobile at Lloyds, the UK’s largest bank. During his time at the company he oversaw a number of strategic developments that resulted in a huge adoption spike for the channel. Before joining Lloyds, Michael was Head of Mobile at RBS and was responsible for rolling out a new suite of applications for iPhone, Android, BlackBerry and Windows. Mike joined Fareportal in 2011 as the VP Online Marketing. Mike previously held senior marketing positions at Partsearch Technologies and Register.com. He started his marketing career at American Express, where he held multiple positions of increasing seniority over the course of nine years. Prior to starting his business career, Mike spent four years playing minor league baseball in the St. Louis Cardinals organization. Mike received his MBA from Columbia University. He also holds MS and BS degrees in Mechanical Engineering from the University of Utah. Murat oversees Fareportal's brands (CheapOair, OneTravel) and leads overall product strategy, product roadmaps, user experience, data science - analytics and revenue management for the company. Using his strong technology background, Murat helps build innovative products with great customer experiences that drive user engagement, retention, and high conversion & revenue for the company. He relies on analytics, qualitative research, competitive analysis and customer feedback to create the strategy and prioritize product roadmap. Murat holds a MS in Management and Information Systems from Brooklyn College. Myrelle joins us from Microsoft where she headed finance for the Consumer Business. With a degree in Electrical Engineering from GCOEP, Pune and a post graduate MBA in Finance from IIM Lucknow, Myrelle has extensive experience in finance, accounting, controls and compliance, commercial, pricing and operations roles and broad international exposure. Prior to Microsoft, Myrelle has done a wide variety of roles at IBM, Motorola and P&G. Myrelle lives in Gurgaon with her husband and two sons. She loves to travel, to experience new places and to experiment with different types of cuisine. Namrata joined Fare Portal and its 3500 strong workforce contact center in March 2017. She advises Fareportal and its associate entities operating under flagship brands such as CheapOair, OneTravel, FareBuzz, Travelong and Royal Scenic. Namrata lends advice in devising and enforcing policies and practices relating to data privacy, data security, contract management, litigation management, acquisitions, acqui-hires and related commercial transactions and initiatives of the company, aside from lending support and guidance on employment and operational matters. Nikunj Dhawan, a Master in Information Technology and an MBA in Finance, is a goal oriented engineering executive with a keen eye on execution, organizational efficiency and long term strategy. His tenure at Fareportal began since its inception in 2002 and he is responsible for implementing Fareportal’s technologies, designing architectures, and setting forth the standards for all products and brands. He is up to date with the latest technologies, whilst managing all technology operations at Fareportal’s Development Center in India. He fully understands the business needs of the travel industry and has a strong sense of the human side of the equation. Nitin joins Fareportal with over 16 years of rich and diverse Marketing experience in various roles and industries. He has expertise with connecting with consumers by focusing on relationships through UX / Product design, marketing, advertising, public relations and customer relationship. He focuses on end-to-end support capabilities in current and emergent technologies. Nitin holds an MBA in Business Administration from the University of Lincoln. Rajat joined Fareportal in 2016 to create a strong People and Operational excellence culture for the organization, focused towards scalability and efficiency. Prior to joining Fareportal, Rajat has held different roles in HR, Operations, Strategy, Quality, Training & Development and Talent acquisition. He is a Lean Six Sigma Master Black Belt. Rajat holds an MBA in Finance and Bachelor of Engineering in Electrical and Electronics. Rich joined Fareportal in 2015 to develop, drive and oversee Advertising Sales and Business Development. Rich brings to Fareportal over 20 years of experience in travel, media, technology and relationship driven selling. His resume includes roles at; AOL, Travelzoo and most recently KAYAK. He has a proven track record of exceeding targets through creating and fostering long term partnerships, taking calculated risks and innovating. These attributes, combined with his leadership skills have driven best in class sales teams. Robert joined Fareportal in 2015 to globally lead the vendor procurement function by creating a strategic and on-the-ground, best-in-class process for our fast growing organization. Prior to joining Fareportal, Robert spent several years at Adecco Group North America as the Head of Strategic Sourcing and Procurement. He brings over 25 years of work experience in IT, global resource management, business process optimization, leveraging technology to gain competitive advantage, and using best procurement practices to deliver lower costs resulting in improved operational effectiveness. Robert holds a BS in Computer Science from Marist College and a MS in Computer Science from Pace University. Ruben Bello, VP International Operations, joined Fareportal in 2011 with over 30 years of travel industry experience. Ruben is well versed in all aspects of the travel industry (Airline, Hotel, Leisure, Corporate, Consortia) with an expertise in call center operation management with a penchant for customer service excellence. Ruben was the first to successfully implement unified data and telecoms solutions on a global scale, enhancing the Hickory Travel Systems International Travel Network and their partners. As a proven leader, Ruben led Hickory’s International Team with the development and expansion of travel agency networks in Central/Latin America, Europe, Asia and South Africa. He has served as the C.O.O for Hickory Travel Systems and VP of Operations for the Wall Street Journal Travel and as an industry consultant. Winner of the 2015 Gold Stevie Award for Customer Service Executive of the Year! Sanjay joined Fareportal in January 2007. He is an experienced senior level executive with over 20 years of experience and deep understanding of Travel Agency, Airlines and OTA’s. Sanjay started his career at Hemas International (Pvt) Travel in Sri Lanka, he spent a major part of his career in the Middle East with KLM – Royal Dutch Airlines and Sri Lankan Airlines where he focused on Revenue Management and Outside Sales. Prior to joining Fareportal, Sanjay was Sales Manager at Trade Wind Associates, USA (PSA for Gulf Air and GSA for Air Sahara). Sanjay is currently part of a leadership group, which spearheads strategic partnerships, along with negotiating and maintaining supplier contracts in North America and overseas to ensure the company remains competitive. Sanjay holds a Bachelors Degree in Commerce from Sri Lanka. Sanjeev joined Fareportal in Jun 2016 as VP Product. He brings with him extensive knowledge and experience of travel technology spanning everything from reservations & fares/pricing to revenue management, booking engines, payments and hotels / cars. He has worked with airlines like Emirates and Westjet. He was responsible for creating and growing the global B2C booking and management platform for www.emirates.com - today this platform is used to generate multi-millions dollars of revenue daily. Sanjeev holds Electronics Engineering degree from Indian Institute of Technology, Varanasi (India) and has an MBA from University of Strathclyde, Glasgow (UK). Shan brings over 20 years of strategic sales, business development, and marketing experience in the travel and online advertising industries. Most recently he ran a highly profitable division of the Momondo Group as SVP of Sales and Head of the US Office for Cheapflights and played an important role in the acquisition of the Momondo Group by Priceline. Before becoming the Head of Office, Shan also held other strategic roles at Cheapflights including VP of Business Development and Head of Sales, devising an efficient bid-by-route model for partners leading to significant revenue growth. Prior to Cheapflights he worked with a number of travel and ad tech startups including DataXu, Adify, Travel Ad Network, and Flycast. His success at driving new business and exceeding revenue goals has contributed to one IPO and three successful exits/acquisitions. Shan graduated with an MFA in Industrial Design from The Academy of Art College in San Francisco and a BA in Business Economics from the University of California, Santa Barbara. Shan leads our meta business strategy at Fareportal. He guides meta expansion into new markets, develops opportunities for our white-label products, and oversees the monetization of our ad inventory. Tom was the original founder of CheapSeats, Inc., (www.cheapseats.com), which started in 1987 and was sold to a travel investment group in 2000. He continued as President of the new entity, which rebranded itself as 1800CheapSeats, Inc., from 2000-2007. He then became Senior Vice President of OneTravel.com in 2007. He has been in the travel industry for twenty-nine years. Tom is heavily involved in leading and creating a culture of continuous business improvement, implementing and creating innovative client-centric solutions. He was an innovator in the Airline Consolidator business and started one of the first travel companies that related directly to airline consolidation. He was also very instrumental in unique supplier negotiations and creating lasting relationships with a variety of travel suppliers throughout all verticals in the travel industry, many of which still exist today. As a seasoned business executive he is especially skilled in developing strategic plans, developing and building top-producing business relationships in the travel industry globally, and using all facets of the industry to grow successful businesses. Tom attended Pierce College in Southern California. Veronica joined Fareportal in 2007 with over 20 years of experience in corporate travel, specializing in client and vendor data/reporting solutions, quality management and operational streamlining. She is responsible for the integration between Fareportal’s online booking tool and the GDS systems, and inter-departmental automated processes and procedures. Veronica has a Bachelor’s degree in Applied Mathematics with emphasis in Electronic Engineering from UC Berkeley. Vikas joins Fareportal as an entrepreneurial product and technology executive with 18+ years of experience in building businesses, teams and software applications to drive revenue, expand customer bases and increase profitability. He has a proven track record in implementing technology solutions for a variety of businesses including eCommerce, healthcare, travel, education and financial services. Vikas has a Management degree from the Indian Institute of Management. Vinay is a seasoned travel and contact center professional who brings 20 years of International experience in global roles across the travel contact center business. He has specific expertise in running & governing large contact center operations with a hands-on approach in managing functions like core operations, business excellence & training. Vinay was earlier with WNS and the InterGlobe group where he spent 8 years of his tenure setting up several global contact centers’ as well as operated as head of operations for these centers. He was also the CEO of a Mid-sized company based in Mumbai, India prior to joining Fareportal. He holds a Bachelor of Engineering from Karnataka University as well as a Master’s in Business Management.